The information presented on this page was originally released on August 14, 2015. It may not be outdated, but please search our site for more current information. If you plan to quote or reference this information in a publication, please check with the Extension specialist or author before proceeding. STARKVILLE, Miss. -- The cold, wet spring slowed cotton development by about 10 days, and now producers are battling plant bugs, bollworms and dry weather to bring their crops to harvest this year. 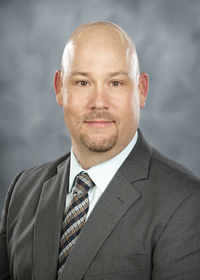 Darrin Dodds, cotton specialist with the Mississippi State University Extension Service, said bolls on most of the cotton across the state should begin to open by mid- to late August. Dodds said almost all of the state’s cotton was planted in a 10-day window at the first of May. It rained for most of the next 10 days, and the cotton was unable to start growing strong while the fields were saturated. 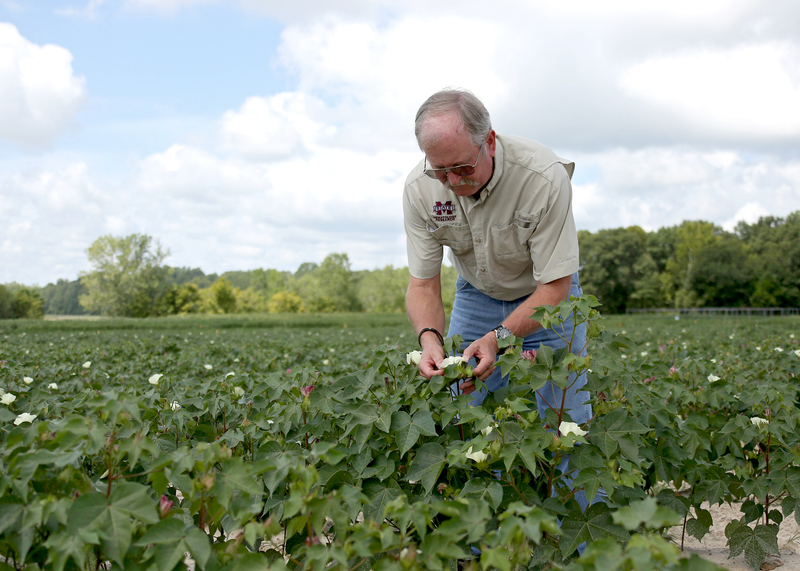 The U.S. Department of Agriculture estimated Mississippi cotton growers planted about 305,000 acres of cotton this year, down from 420,000 acres in 2014 and far short of the recent high of 1.2 million acres set in 2006. USDA estimated 77 percent of the crop is in fair or good condition, and just 16 percent is rated as excellent. Brian Williams, Extension agricultural economist, said cotton prices have been trending down since early July but rose sharply on Aug. 12. Cash prices are about 60.5 cents a pound, while October futures are now trading for just under 64 cents a pound. USDA’s latest report revealed factors that are expected to significantly affect the world’s supply of cotton. This news caused cotton prices to rise more than a penny a pound in one day. “Most of the world’s major cotton-producing countries saw reductions in production, and the U.S. looks to have more abandoned acres, fewer planted aces and lower yields than previously expected,” he said. Until harvest time, Mississippi growers are still dealing with dry weather, some herbicide-resistant weeds and, in some cases, high populations of bollworms.  Jeff Gore is an Extension and Mississippi Agricultural and Forestry Experiment Station entomologist at the MSU Delta Research and Extension Center in Stoneville. He said three types of cotton genetically modified to resist certain pests make up nearly all of the cotton growing in the state. While the pest-resistant varieties and insecticide sprays are effective and contribute to cotton profits, some insects will still be present after treatments, Gore said. He estimated that nearly 70 percent of the state’s cotton acreage has already been sprayed for bollworms, a rate that is higher than normal for this point in the season. Plant bug infestations have been lower than usual through early August, offering a cost savings to producers. “When you add plant bug sprays with bollworm sprays, I think our insecticide budget is going to be about normal this year,” Gore said.